Now that the cost of renewable energy is reaching a competitive level with fossil fuels, the potential for a bottom line benefit is clearly evident. However, raw dollars and cents only tell part of the story. A new survey describes how corporations can realize more value from renewable energy than meets the eye. Regardless of the reason, leading corporations have been charging ahead on renewables. The insights contributed by the new survey could help the transition to renewables accelerate, despite President Trump's decision to pull the U.S. out of the Paris Agreement on climate change. The new survey was conducted last month by the clean energy developer Apex Clean Energy, through a partnership with GreenBiz Group. The main takeaway is that corporations transitioning to renewables are also adopting a more holistic approach to business. The majority (65 percent) of survey respondents cite the primary importance of cost in their renewable energy purchases, but other factors also feature strongly. Corporate goal-setting is a strong driver of renewable energy purchases, cited by 70 percent of respondents. That finding is backed up by the premium that most respondents (65 percent) place on establishing their brand as a renewable energy leader. While 65 percent of respondents cited price as a factor considered when purchasing renewable energy, more than a quarter of respondents also chose value, energy intensity of facilities, length of contract, and credit toward goals. Considering that Apex is one of the top clean power developers in the U.S., it's no surprise that 23 percent of respondents cited the "reputation of the renewable energy developer" as a factor in their clean power purchases. Nevertheless, that finding goes beyond self-interest. The consulting firm Smart Energy Decisions recently surveyed leading corporate renewable energy buyers as well as those considering their first purchase. They concluded that the reservoir of know-how built up by early adopters is enabling new purchasers to engage with more experienced developers and "leapfrog" into more ambitious, more sophisticated renewable energy investments. 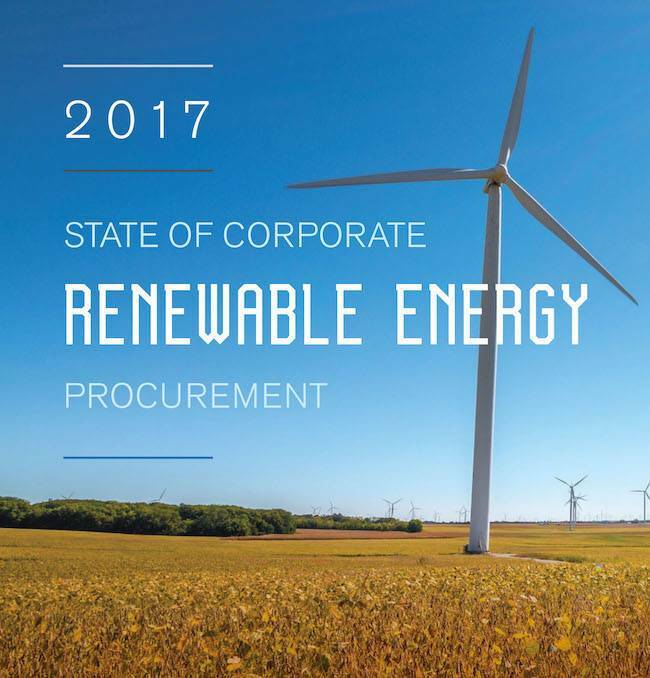 The survey, included 150 respondents with annual revenues topping $250 million or more, and is available online under the title,"2017 State of Corporate Renewable Energy Procurement Survey." Corporate buyers increasingly seek renewables as cost-competitive sources of new power generation that offer a hedge against price volatility from traditional energy sources. More opportunities to buy and finance clean energy exist than ever before, allowing buyers to purchase on their terms and harness internal expertise they already possess. 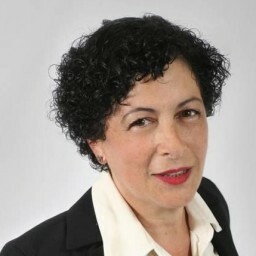 Apex focuses its business on utility scale projects, but the survey also hints at the emerging, consumer-oriented energy scenario leveraging microgrids, distributed energy resources and renewables. Interest in the localized, microgrid solution is ramping up as corporations begin to realize the benefits in terms of consumer options and flexibility. The in-depth interviews of market leaders highlighted a clear trend toward moving beyond purchasing renewable energy credits (RECs) as a strategy due to the lack of additionality. This was driven by skepticism that REC purchases alone were driving new renewable energy capacity and creating real-world greenhouse gas reductions. That "lack of additionality" also resonates in terms of energy security. Hurricanes Harvey, Irma and Maria have exposed vulnerabilities in the conventional grid model, as has the threat of cyber-attacks. Despite the federal action to withdraw from the Paris climate accord, 84 percent of all respondents plan to actively pursue or consider directly buying clean energy, and 43 percent plan to become more aggressive in the next 24 months. Those numbers are all the more impressive considering the lack of direction from President Trump. In the latest development, earlier this month word leaked that Trump would reconsider his previous Paris Agreement withdrawal. That rumor was quickly quashed by the White House, in such a way that indicated the President does not actually understand -- or pretends not to understand -- the terms of the agreement. Considering Trump's track record as a businessman and U.S. President, that kind of deep misunderstanding will not be cleared up any time soon. Fortunately, U.S. business leaders are taking up the slack, and helping to steer the nation toward a more safe and sustainable model. Image (cropped): via Apex Clean Energy.